There’s no better time or place to get behind the wheel of a pre-owned Bentley vehicle than with help from Bentley Westlake in Thousand Oaks, California. With any used Bentley model, you’ll find yourself in a vehicle that exudes sophistication and class, and that’s made no more apparent than with our iconic Bentley Continental sedan. With high performance in mind, we recommend the Bentley Flying Spur, a genuinely powerful vehicle both under the hood and in the way it’ll make you feel. In need of some space to go with your luxury features? 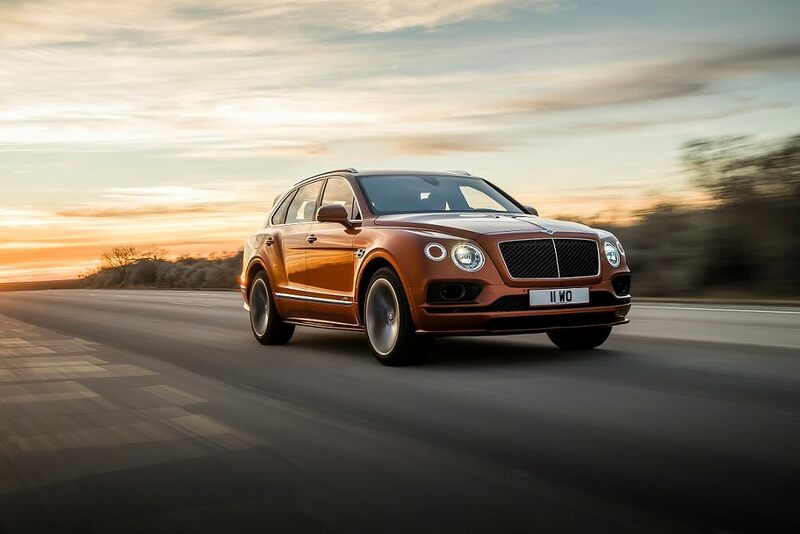 The Bentley Bentayga SUV gives you exactly that. For more information on the stunning pre-owned Bentley lineup, visit us in Thousand Oaks, CA today. Find a used Bentley model at your local Thousand Oaks, CA Bentley dealership. Bentley Westlake is excited to welcome you to our Thousand Oaks, CA showroom. Beyond a wide range of pre-owned Bentley models to look at, our seasoned staff will be there to help teach you about them. Whatever your lifestyle or budget may be, we’ll work with you to find the best possible Bentley vehicle to drive home in. Stop by Bentley Westlake today to learn more, and don’t forget to reserve a time to test drive the Bentley model of your choice. Beyond finding the best luxury vehicle for your lifestyle, Bentley Westlake in Thousand Oaks, CA will work with your finances to tailor a custom financing solution just for you. Buying a Bentley car or SUV is a commitment, one we’re ready to help you make. From assessing the value of your current vehicle to working with your financial history, our skilled team is ready to help. Contact us today to get the conversation started.